Over the past few months, hundreds of thousands of people across the U.S. have spoken out in support of action on one very important topic: methane. Methane is the main ingredient of natural gas. It helps heat our homes and power our economy. But when leaked or vented into the atmosphere, methane is also a potent greenhouse gas, more than 80 times more powerful than carbon dioxide over a 20 year timeframe. The oil and gas industry is the nation’s largest source of methane emissions, but new action from the Bureau of Land Management could help change that dynamic out West. The majority of oil and gas production on federal and tribal lands occurs in the western U.S. Unfortunately, the companies that extract the oil and gas that belongs to the American people are allowing way too much methane to escape to the atmosphere. One recent report found that taxpayers may lose more than $800 million in revenue over the next decade due to venting and flaring on public lands if no action is taken. This is a critical reason for why the BLM recently issued a new proposal designed to stop industry’s wasteful methane habits on federal and tribal lands. And why thousands of impacted community members have voiced their support for BLM’s proposal. Over the past three months, 200,000 stakeholders, across the West and nationwide, filed public comments in support of BLM’s action on methane – likely a record number of supportive comments for an agency that usually only draws regional attention. What’s remarkable about this public turnout is not only the sheer number of supporters, but the diversity of voices represented. BLM heard from grassroots advocacy groups and impacted communities all the way to state elected officials and the high tech companies that create tools to find and fix methane leaks. A diverse group but with a unified message: They all see the benefit of reducing methane waste. 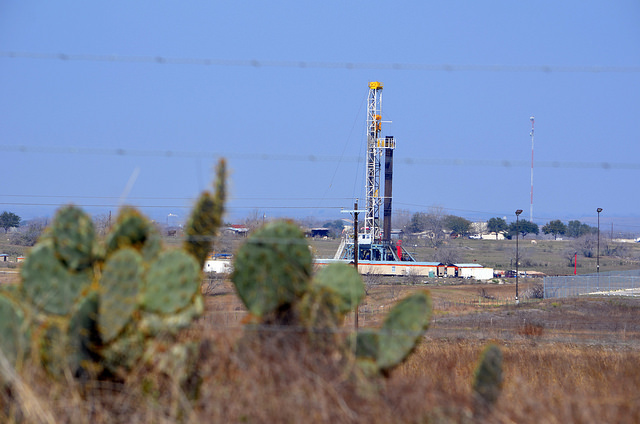 Many of the communities located in oil and gas country are all too familiar with the risks oil and gas development can pose to public health and the environment. But for many, the oil and gas industry is an important contributor to local economies. Fortunately, independent observers have found that the methane reduction strategies proposed by BLM are very cost-effective to implement. ICF International found that methane reductions would cost only a little more than one penny per thousand cubic feet of gas produced. And the BLM’s analysis indicates that requiring operators to regularly check equipment for methane leaks will only impact the bottom line of small operators by less than one tenth of one percent. In a recent survey in Colorado (a state that has been operating under methane rules for over two years now), oil and gas producers reported that measures to reduce methane pollution and waste are very cost effective. This is why so many in the West are rallying around BLM’s sensible, cost effective efforts to cut methane – smart policies that protect taxpayers, communities and the air we breathe. Jon, a much more effective option would be shutting down methane extraction entirely and replacing it with carbon-free nuclear energy. You not only get rid of the waste, but all the CO2 generated from burning methane – a problem which dwarfs the other. It would mean retiring all the solar panels and wind turbines which EDF cherishes, because they require burning methane to make their unpredictable, intermittent generation useful. Rumor has it that EDF is “neutral” on nuclear energy, which is a bit like being “neutral” on climate change. How is that possible?